I’m a huge fan of accessorising. I tend to wear very simple outfits so I like to add a little sass with my jewellery and I definitely don’t go by the rule ‘less is more’. Pile it on ladies! I’ve found that H&M is a great place to pick up my bling. I wear a simple gold chain necklace which I rarely take off, but I like to add a bit of fun as well. 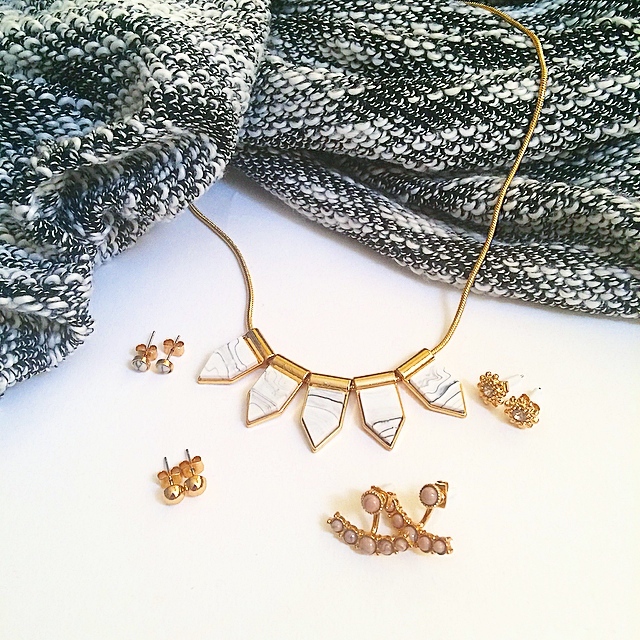 H&M always have a huge range of jewellery to choose from and it’s pretty affordable too – a win win situation! I recently popped by the jewellery section, as you do, and picked up these lovely pieces. 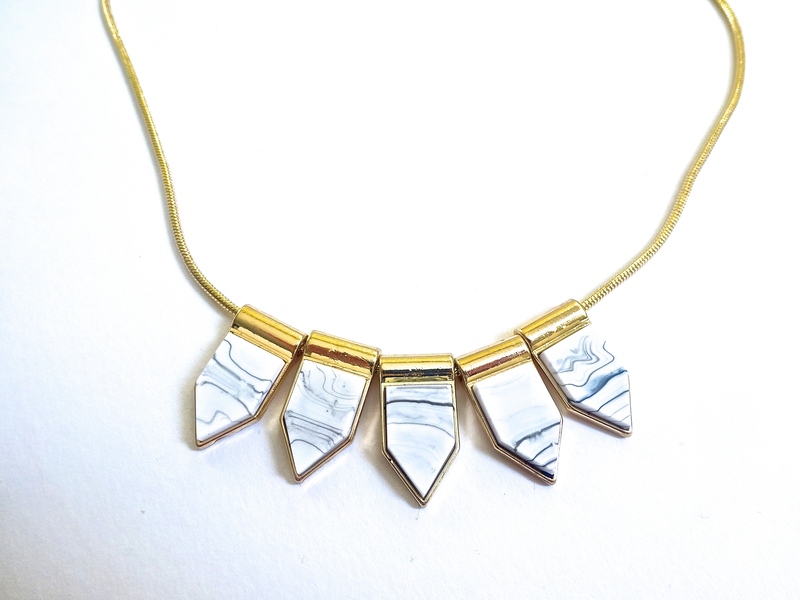 First up is this Marble effect necklace. Marble seems to be everywhere at the minute. So why not wear it around your neck too? It looks great with a simple all black outfit, basically my go to look. Next I picked up this set of cute earrings. The drop earring back is popping up all over the place nowadays so I thought I’d jump on the bandwagon and get a pair. Again these have a marble effect but with more of a pink tone. 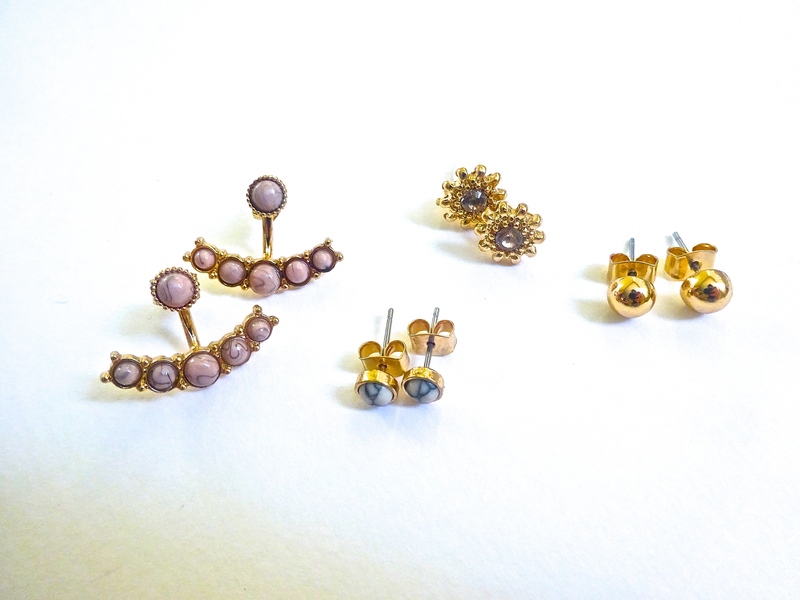 The studs are just as cute and easy to wear. Marble, plain and bling studs – you can’t go wrong there! Thanks H&M for always satisfying my need for bling! I love all the jewellery in this post, I particularly like the pink earrings!